Family Finance Favs: Don't Leave Teens Wondering "What The FICA?" Introduce your teen to FICA before that first paycheck arrives. 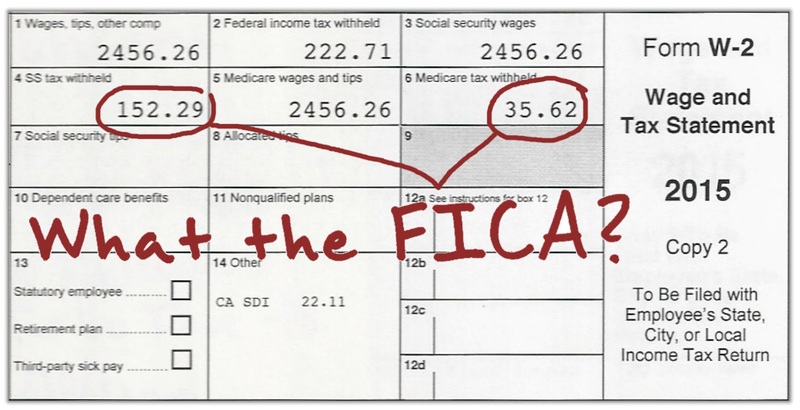 FICA is the Federal Insurance Contributions Act — a federal law that requires a tax for Social Security and a tax for Medicare to be withheld from each paycheck. FICA’s Social Security tax is 6.2%. So $6.20 will be pulled out of every $100 in your paycheck to help provide a safety net for retirees, the disabled, and children of deceased workers. Social Security was created in the 1930s following the Great Depression. FICA’s Medicare tax is 1.45%. So $1.45 will be pulled out of every $100 in your paycheck to help provide hospital insurance benefits for the elderly. Medicare was created in the 1960s. 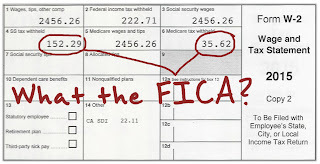 FICA taxes are matched by your employer. So workers and employers are both contributing to a piece of the social safety net. Now your teen will know what to expect before meeting FICA for the first time.